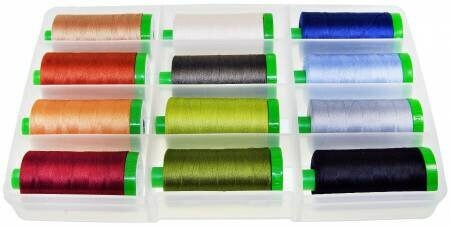 This set includes one spool each of 12 basic colors of 40wt cotton Mako thread. Pat loves the look this weight of thread gives to the quilting and its weight is perfect for piecing quilts. 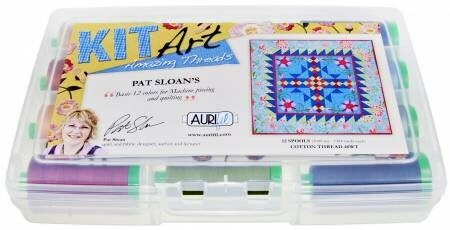 This starter range of colors will work well for all your fabrics.